The Burns Paiute Natural Resources Department was created to protect and enhance fish and wildlife, to prevent further resource losses that impact traditional land uses, to ensure environmental standards on the reservation are met, and to provide training and employment opportunities for Burns Paiute Tribal Members. The Tribe acquired the Logan Valley wildlife mitigation site in April 2000. 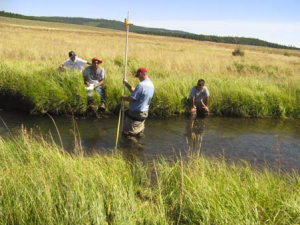 This project allows us to manage 1,760 acres of wet meadow, wetland, forest, and sagebrush steppe habitats at the headwaters of the Malheur River while addressing goals for fish and wildlife, as well as providing harvest opportunities for Tribal members. In 2000, the Tribe acquired the Denny Jones Ranch near Juntura, Oregon, which includes 938 acres of senior water rights and 38,377 acres of federal/state grazing allotments. 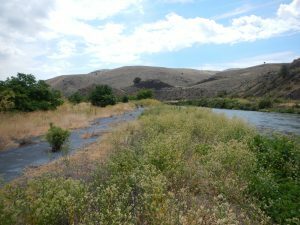 Through management and restoration efforts, 6,385 acres of meadow, wetland, and sagebrush steppe habitat are being improved along the Malheur River to benefit fish and wildlife, while meeting the needs of Tribal members. 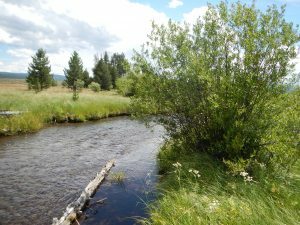 The Tribe’s Fisheries Program is committed to researching and restoring native salmonids (i.e., bull trout and redband trout) and their associated habitats in the Malheur River Basin. Additionally, significant effort has been focused on managing and suppressing non-native brook trout that are limiting ESA-listed bull trout in the basin.